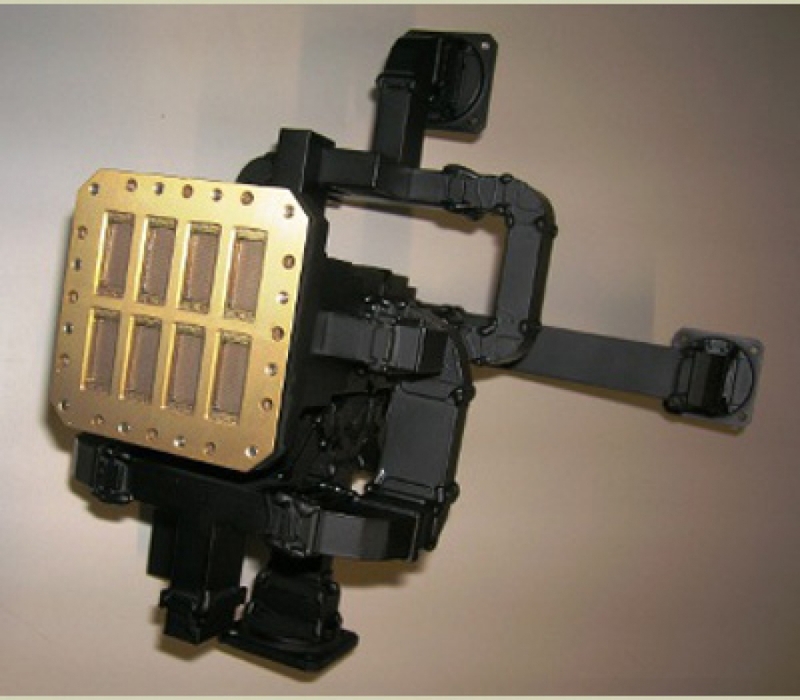 Pasquali Microwave Systems has the capability to design, fabricate and test Waveguide Monopulse Comparators for radar applications. We can offer custom solutions for peculiar electrical and mechanical requirements. 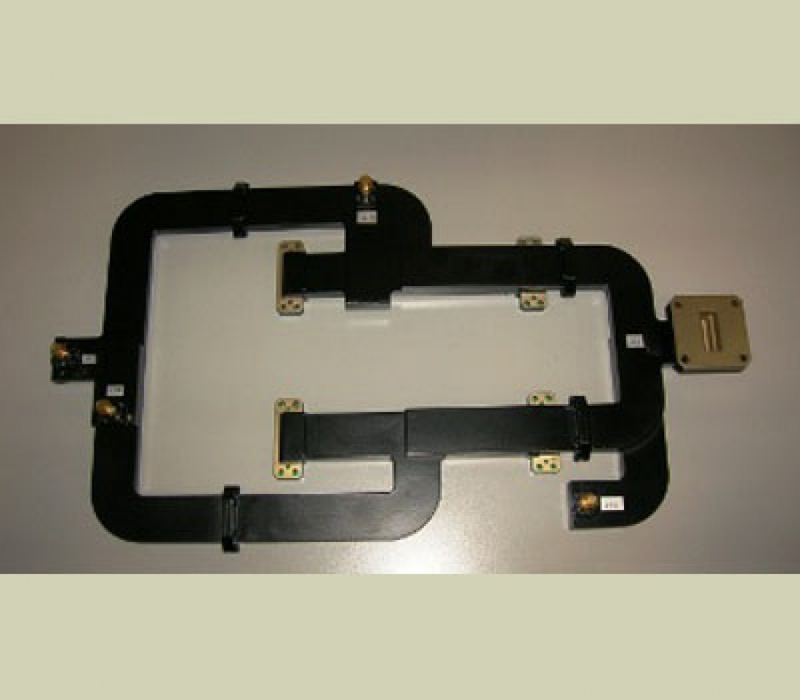 This planar Half Height WR-90 monopulse comparator is designed for airborne antenna applications and operates over a 500 MHz bandwidth in the X band. The monopulse comparator network combines the 4 quadrant antenna inputs to give Sum, Difference Azimuth and Difference Elevation signals. Il also incorporates a coupler to inject a CW calibration signal into the Sum, Difference Azimuth and Difference Elevation ports. It is manufactured by aluminium oven brazing technology. This waveguide comparator is manufactured by aluminium oven brazing process. A high isolation between Sum, Delta Azimuth and Delta Elevation channels is ensured, as well as an optimum phase tracking among comparator arms.